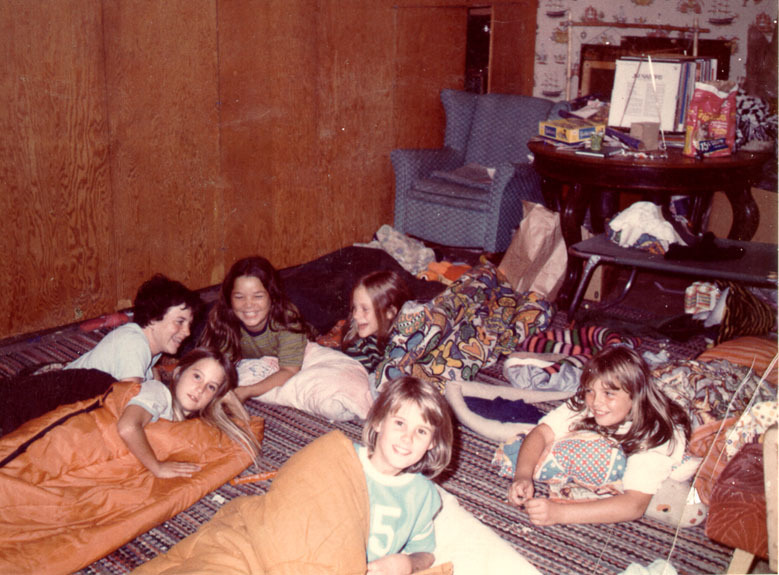 Counter-clockwise: Kim Woods (in the orange sleeping bag), Julie Klein (wearing number 5), Lisa Maciolek, Danita Neely, Sharon Quintoa, Muriel Heath. Second tier (left to right): Julie Klein, Kim Woods. 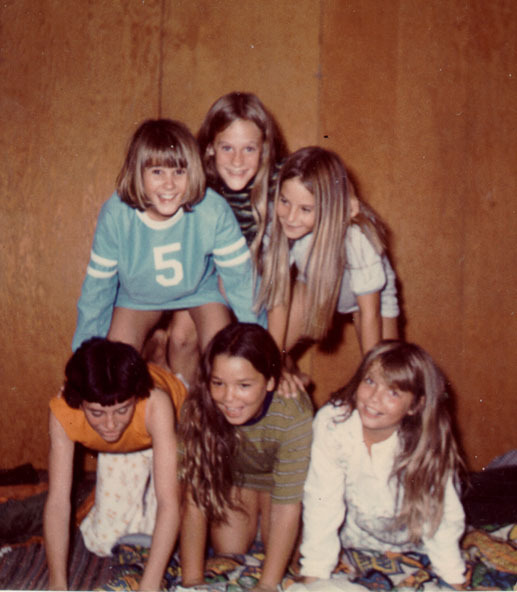 Bottom tier: Muriel Heath, Sharon Quintoa, Lisa Maciolek. Credits: From the collection of Kimberly Woods Barry. Thanks to Kim Barry and Julie Klein for identifying the kids in these pictures. Most of the kids in the picture are members of the high school graduation class of 1982. To find other pictures of the class of 1982 in the archive, see Livermore class pictures listed by year of high school graduation: 1982. And if you have any pictures of the class of 1982 that you would like to share, please submit them to the Archive. The kids in the picture went to Joe Michell School. To find other pictures from Joe Michell School in the archive, see Livermore class pictures listed by school: Joe Michell School. And if you have any pictures from Joe Michell School that you would like to share, please submit them to the Archive.